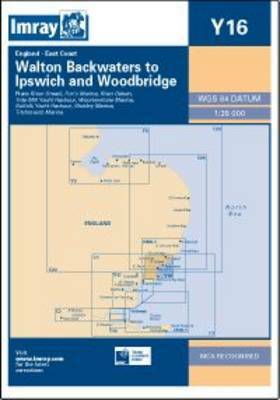 Plans included: River Orwell continuation to Ipswich (1:35,000) Fox's Marina (1:12,500) River Deben continuation above Ramsholt (1:35,000) Tide Mill Yacht Harbour (1:10,000) Woolverstone Marina (1:10,000) Suffolk Yacht Harbour (1:15,000) Shotley Marina (1:10,000) Titchmarsh Marina (1:12,500) For this 2014 edition the chart has been fully updated using the latest known depth data throughout. Ongoing works at the Port of Felixstowe are shown, as are the marina developments at Woolverstone. Detail on the Fox's Marina and Tide Mill Yacht Harbour plans has been redrawn for a more accurate representation, and the Shotley Marina plan has been extended.